With the designer change in the décor of every area, we all need to add a pattern of furniture that will work to enhance the interior as a whole.To work in the same way, the perfect idea is to select the latest patterns online. Here we get this grey bed which can add the proper finishing to the décor of your area. With the perfect wooden texture and superior finishing, this will get add like a designer piece as a part of your bedroom’s interior. 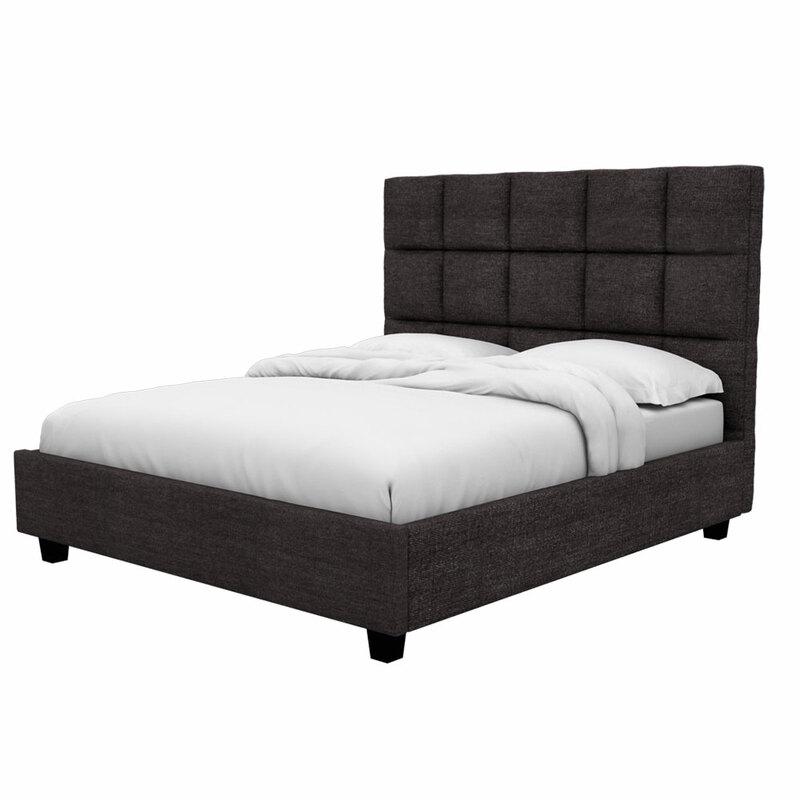 This elegant bed is available in two sizes: Queen Size (210*163 cm) and King Size (210*188 cm). 2. 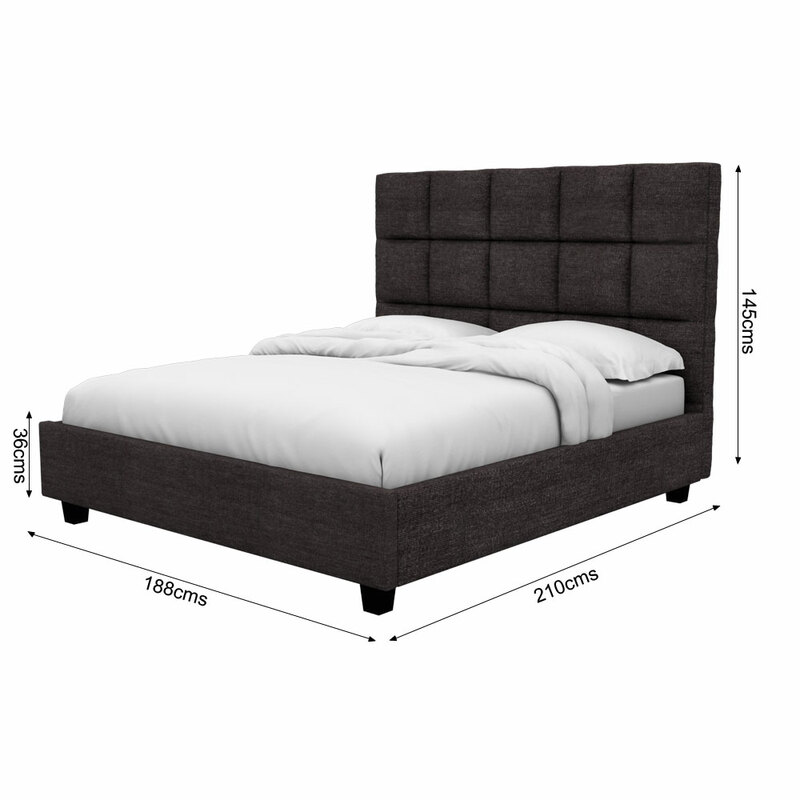 King bed size (L x W) : 210 x 188 cm ( 6.8 x 6.1 feet). 4. 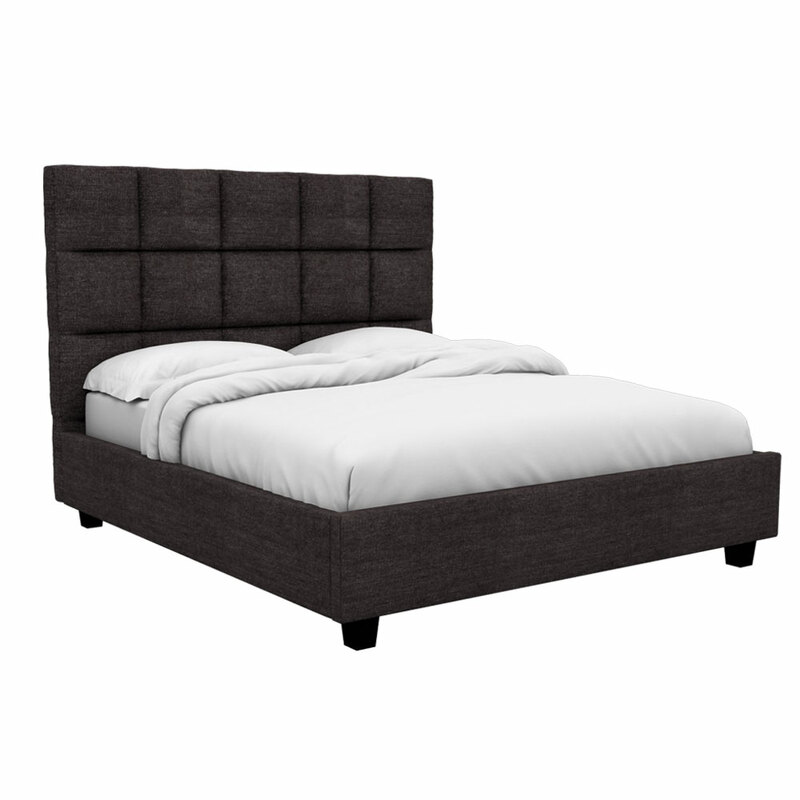 Total Bed height with Headboard: 145 cms. 7. 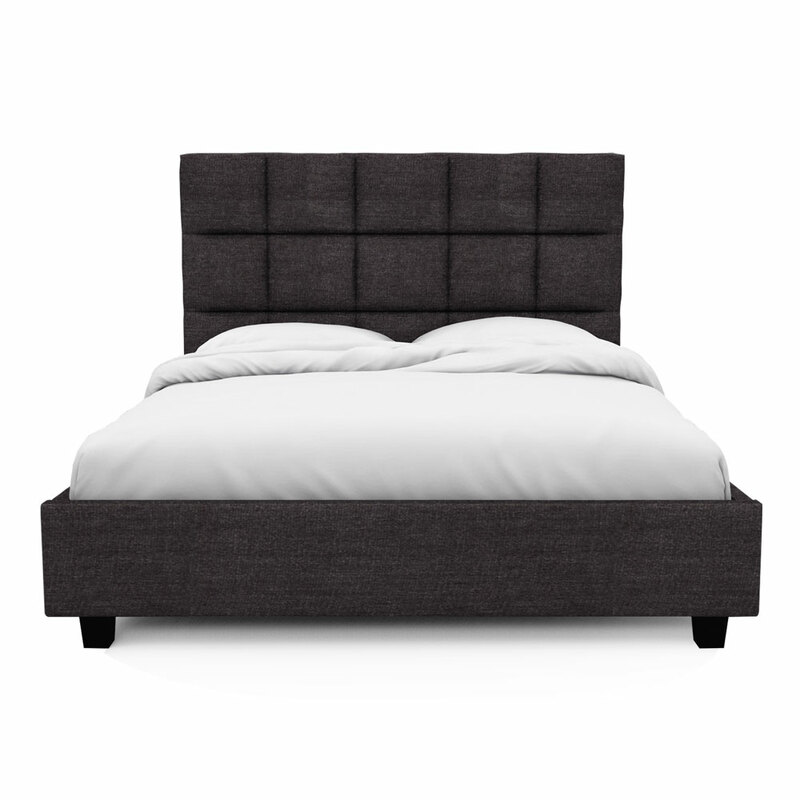 Headboard, Footboard, and sides are fully upholstered with high-quality soft fabric.